2004 - The Guerrillas-to-be meet in the Graduate Acting program at Brown University / Trinity Repertory Company. 2005 - 12-hour days of class and rehearsal just aren't enough. 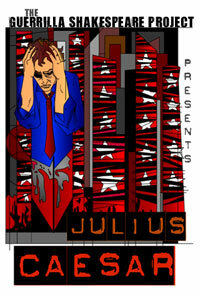 A posting on the student bulletin board leads to an independent production of Julius Caesar. Rehearsals begin at 10pm and continue into the night. Two Gentlemen of Verona anyone? And *ahem* This is our Youth? 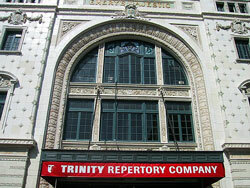 And a new play festival? 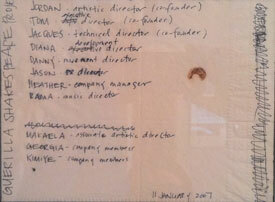 2007 - Our first organizational outline is completed. As a fond farewell to grad school, the Guerrillas stage Richard III. 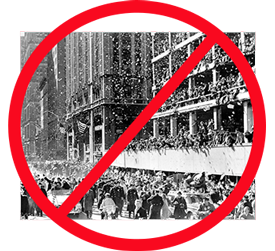 Undoubtedly due to a clerical oversight, tickertape parades, offers of Broadway contracts, and television stardom are initially absent. 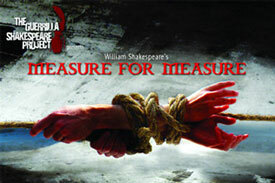 2008 - Undaunted, the Guerrillas decide to bring their muscular and irreverent brand of Shakespeare to New York. A re-imagined Julius Caesar with a female Caesar thrives in the New York International Fringe Festival. 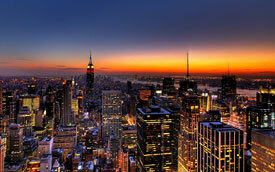 2010 - Movin' on up! 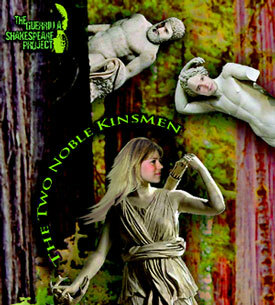 The Guerrillas move to the larger Medicine Show Theatre to produce Two Noble Kinsmen. People we don't know fly from England to see it. 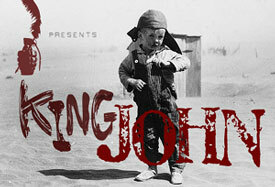 King John Continues our obsession with obscure Shakespeare. And our tradition of rave reviews. 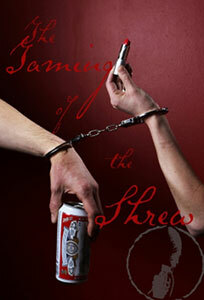 Taming of the Shrew - Our first director from outside the company, and yet more rave reviews! 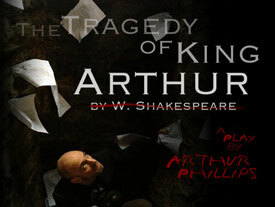 New York Times bestselling author Arthur Phillips cold-calls our Artistic Director to take a look at his new "Shakespeare" script, The Tragedy of Arthur. A beautiful friendship (and a staged reading at the Public Theater) follow. 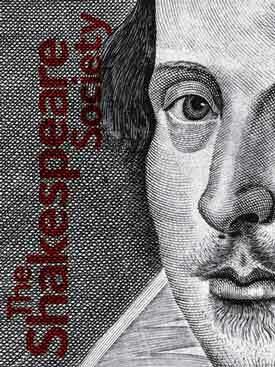 2012 - The Shakespeare Society chooses Guerrilla Shakespeare as part of their "Shakespeare Works" program - free rehearsal space and access to prominent scholars as we explore Coriolanus. 2013 - Years of development pay off as The Tragedy of Arthur garners IT Award nominations for director Jordan Reeves and set designer Lynne Porter. 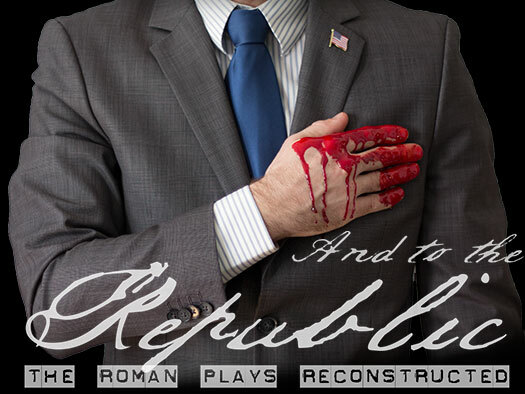 And to the Republic, a re-imagining of Shakespeare's Roman plays as a modern political thriller.